Manual comfort toilet. 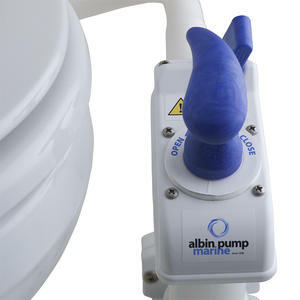 Easy to clean white regular ceramic bowl, white thermoplastic softclose seat and manual ergonomic flush pump with handle that can be mounted on left or right hand side. 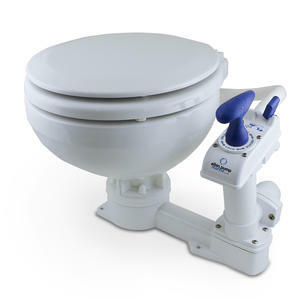 Stable base for robust installation, plug & play/ interchangeable with Jabsco 29120-3000, Johnson Pump 80-47230-01 and other manual comfort toilet models.